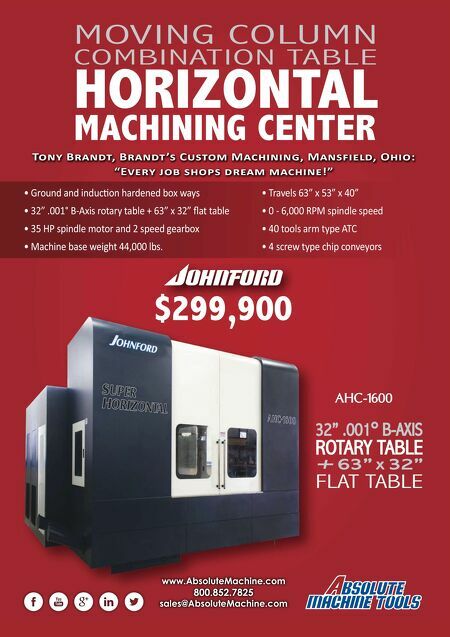 Introducing the AC8025P Grade Increase Productivity and Tool Life for Greater Cost Savings 1001 Business Center Drive Mt. Prospect, IL 60056 (800) 950-5202 www.sumicarbide.com G L O B A L S U P P O RT. G L O B A L S O L U T I O N S . P Steel Featuring our new Absotech Platinum CVD Coating, the AC8025P Grade signifi cantly reduces your machining costs. The high adhesion strength, smooth surface, reduced tensile strength and chipping resistance of Absotech Platinum increases productivity and ensures a longer tool life. 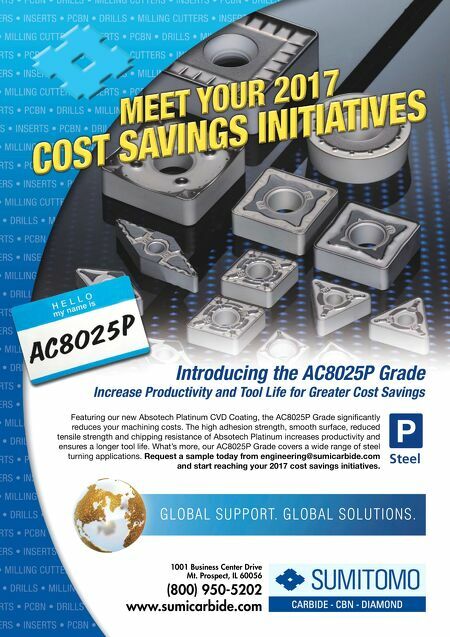 What's more, our AC8025P Grade covers a wide range of steel turning applications. Request a sample today from engineering@sumicarbide.com and start reaching your 2017 cost savings initiatives.